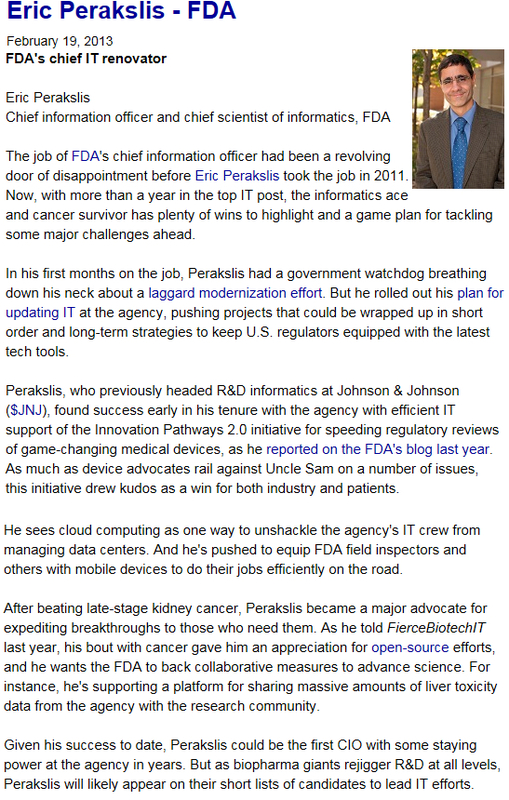 Eric Perakslis, CIO and Chief Scientist of Informatics at the FDA named one of the 'Top 10 Biotech Techies' - Xyntek Inc.
Congratulations to Eric Perakslis, Chief Information Officer and Chief Scientist of Informatics at the FDA, for being named one of the 'Top 10 Biotech Techies' by Fierce Biotech. Xyntek thanks you for your friendship and your years of service to the biotech community! Click on the more button below to view the entire article at Fierce Biotech!